Why flower pot molds are much cheaper than car molds? Home » Industry » Why flower pot molds are much cheaper than car molds? 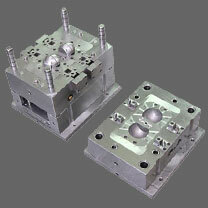 There is the matter of complexity as well as the cost of the part and injection mold, not just the mold. A flower pot usually doesn't require an automotive finish, nor does it require the use of material specific to the automotive part. A flower pot is typically a straight pull part, here as the automotive part has undercuts, multiple areas of complexity with ribs, bosses, etc. and requirements for strength, tolerances, and cosmetics that are far beyond what a flower pot has. In terms of the human capital required to run the injection molding machine, one has to look at volumes and whether automation is cost effective for the run versus mold changes, material changes, etc. Car molds are using engineering grade plastics due to a need for structural strength and flower pot molds are probably using consumer grade plastics, constituting a higher order of processing complexities. Not to mention the complexity of shapes hence mold design and the need for tightly controlled tolerances in accordance with the assembly's tolerance stacking. Both markets are not comparable at all. The requirements are totally different and so the technology and effort you have to put it in order to fulfill the expectations. Who cares if a flower pot fails after 2 years? But you care if after 3 year your car has a serious problem caused by a plastic part that was not molded proper and that was not designed as it should be (designed or processed, wheat ever...). Who cares if the surface of your flower pot is not so perfect? But you care if your dashboard has flow marks or if your front light has air traps or bubbles. Also the resins and tolerances (as mentioned above) are completely 2 different universes and this is obviously reflected on the price. Engineering resins are usually much more demanding and so the injection mold that will work with them. Did you know that you can buy 3 molds for the same part in different suppliers and the prices can be multiplied by a factor of 3 or 4 between each other? The difference will be on the quality of technical support, quality of the part, longevity, cycle, etc. However, based on the board question and the need for quite a bit of detail with examples, I would suggest that you may want to contact some of the consultants or educators.